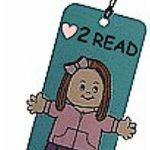 Make a Bookworm Bookmark to make reading more fun! Make one for every book you read and write the book name on the back. Collect worms and make a mobile for your classroom. Trace six times around a Snapple cap or other bottle cap onto a piece of construction paper. Cut out the circles. Glue the circles together in a row to make a worm. Cut out or write the letters "READ!" on the circles. Write the name of the book on the back.